HARMAN Professional Solutions and IBM (NYSE: IBM) Watson Internet of Things (IoT) today unveiled Voice-Enabled Cognitive Rooms. 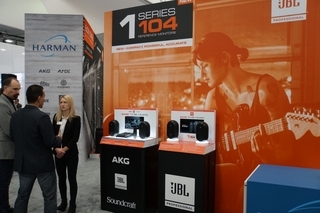 Using IBM's Watson artificial intelligence (AI) technology and HARMAN AKG microphones, JBL speakers and AMX AV control and switching systems, the companies bring highly connected experiences to medical facilities, corporate offices, hotels, cruise ships and other hospitality environments. In addition to the current in-market solutions, HARMAN is part of IBM's cognitive collaboratories based in its $200 million Watson IoT global headquarters in Munich. In this facility today, HARMAN is demonstrating the capabilities of its in-room cognitive concierge in a conference room setting. At the same time the HARMAN team is also working with IBM designers, researchers and others to put IoT into the hands of enterprise customers. Today IBM's cognitive technologies are embedded into HARMAN soundbars and alarm clocks with other form factors being developed, that users can interact with using natural language. Now consumers can simply ask questions or issue commands with their voice when in a room. These requests are then sent to the Watson cloud and Watson IoT services, which work with HARMAN'S technology to allow people to easily control their in-room subsystems without having to physically perform any manual tasks and trying to figure the new systems out. For example, now when an employee enters a conference room they can start a video conference, launch a presentation and more using their voice. In the future, these tasks will be executed automatically based on what the system has learned about the employee based on previous meetings. The system gets smarter about the person and their preferences over time. These capabilities are on display today at IBM’s Munich office. In addition, customers such as Thomas Jefferson University Hospital, who also helped develop a healthcare solution that leverages these capabilities, plan to deploy this solution in hospital rooms, which will give patients the opportunity to interact with in-room speakers connected to the IBM Watson IoT Platform. As a result, they will be able to enhance their hospital experience by operating lights and window blinds without any manual assistance while asking questions about the hospital facilities or requesting background information on their physician all via natural language. "We're solving a very distinct problem in hotel, hospital and conference rooms, where people experience unfamiliar environments yet need to perform very simple tasks, such as changing room temperature, adjusting the lighting, opening the blinds, initiating conference calls or launching a presentation," said Kevin Morrison, Senior Vice President of Enterprise Solutions for HARMAN Professional Solutions. "Voice-Enabled Cognitive Rooms by HARMAN make for a natural and intuitive experience, especially for weary travelers or patients with special needs." These voice-enabled cognitive rooms also function as an in-room concierge that can answer general questions or site-specific questions developed by the facility and featuring custom answers created by staff. For example, a hotel guest could ask "What time is checkout? "or "Where is the gym?" while a hospital patient could ask "What are the hospital's visiting hours?" or "Can you tell me more about my doctor?" Leveraging HARMAN's expertise in API integration, users can even employ Watson for service requests, including amenity replenishments, restaurant reservations, late checkout, room service, shuttle service and more. "The enterprise and entertainment market possibilities are massive, as IBM and HARMAN seek to connect people more intimately with their environments through cognition and natural language processing," said Harriet Green, General Manager, Watson Internet of Things, Customer Engagement and Education, IBM. "The result of this collaboration is simple, we are leveraging Watson and AI to bring connected environments to a multitude of locations, from hotels to hospitals and offices where they are transforming every day experiences. 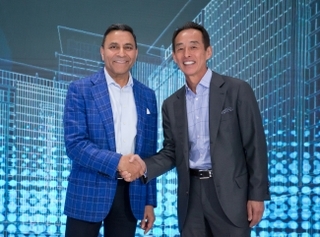 We look forward to continuing our work with HARMAN by developing new IoT-powered innovations." Leveraging key Watson APIs such as Natural Language Understanding and Speech to Text, these rooms also provide users with limited mobility and vision impairment a closer level of interaction with their environment. Now with Watson, guests can speak naturally to the system without rigid syntax requirements, using simple commands like "would you turn off the lights?" Voice-Enabled Cognitive Rooms also feature enterprise-grade software tools that can help in-house technical and guest service staff members increase operational efficiency. For example, housekeeping staff can simply say, "Send up an engineer to fix the shower" in their native language. Watson's multilingual capabilities enable organizations to accommodate a wide variety of users from different countries with an ever-growing list of supported languages. Like other solutions on the market, the system is activated by a "wake word." However, unlike other devices, the wake word for Voice-Enabled Cognitive Rooms by HARMAN is fully customizable. This allows businesses an additional opportunity to brand their experience. In addition to JBL speakers, the system includes AMX NX-1200 Integrated Controller, the AMX Massio™MCP-106 6-Button ControlPad and the AMX Metreauۓ-Button Ethernet Keypad. Voice-Enabled Cognitive Rooms by HARMAN for enterprise applications will be available in mid-2017.